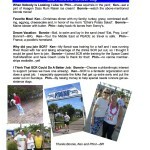 The Space Coast Runners newsletter for January 2012 is out. 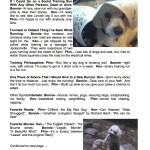 And featured are Ken, his fiance’, and dog in the monthly Run a Mile With profile article. 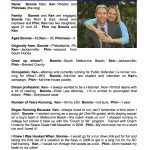 There are three pages of information about all three running habits along with some interesting tidbits about their likes and plans. You can view the newsletter using this link to the SCR Newsletter and Adobe Reader or view the gallery posted below. 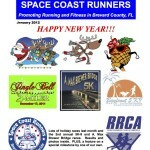 If you are interested in running with the club or joining, please visit their site at www.spacecoastrunners.org or ask Ken when you see him!